Prime Minister Dr. Keith Rowley has said Trinidad and Tobago's vote against a request by Dominica to waiver its OAS fees for a two-year period left him "shocked and embarrassed." On March 23, T&T's representative Ambassador Anthony Phillip-Spencer voted against the bid, saying T&T would instead consider supporting either the deferral of payments of contributions by member states and or where possible the implementation of a payment plan. T&T, being the lone country to vote against Dominica's request faced heavy criticism both locally and regionally with many experts describing the move as an embarrassment. This prompted calls for the dismissal of Foreign and CARICOM Affairs Minister Dennis Moses, who many said should be held accountable for the diplomatic faux paus. Addressing the incident for the first time last week Thursday at the weekly post cabinet media briefing at the Diplomatic Centre in St. Ann's, Trinidad, Rowley said Moses was cleared, as it was public officials who had usurped the authority of the political directorate. This as the Prime Minister described the report he received on the matter as disturbing. Reading from the report, Rowley revealed that the Acting Deputy Permanent Secretary indicated that matter was not forwarded to the Minister, as is standard procedure. "It makes disturbing read…Not for the first time, I've had to be concerned about certain actions taken by persons who may not have followed established procedure or worse usurped that authority where the authority lies," Prime Minister Rowley noted. 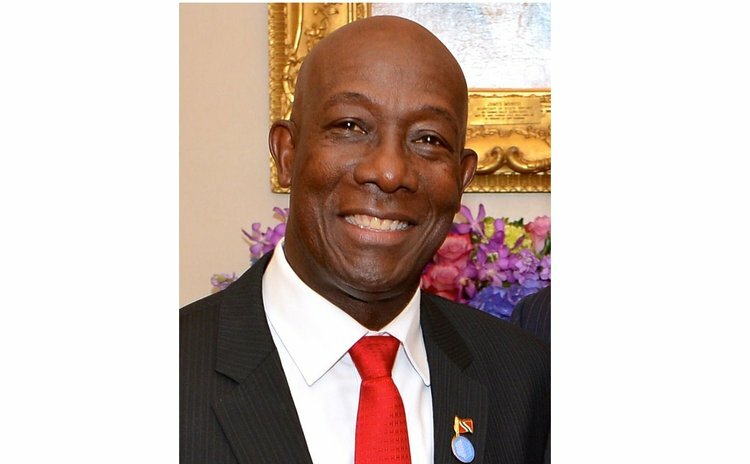 Rowley said T&T was absent from a preparatory meeting at the OAS in Washington on March 15th, at which member states unanimously agreed to support Dominica's request. The Prime Minister said the permanent secretary however, adopted a position that Dominica should instead seek a position of deferred payment instead of waiving of the fees. The Foreign Affairs Minister in his report noted that he was never consulted on this. "I was never consulted, nor was any submission made to me on this matter. I was not aware Dominica would request a waiver. It is instructive that I was physically present in the Ministry and had extensive discussions with the Permanent Secretary during the period March 23 that the unauthorised position was conveyed to the embassy in Washington." Rowley revealed that he has decided to send the report on the OAS mishap to former ambassador Christopher Thomas for review, before he makes a decision on the way forward. "I'll rely on him to a give a more appropriate analysis of what we're dealing with here because it is my intention to let the facts dictate what actions are taken as Prime Minister." However, the Prime Minister's response to the issue did not sit well with some. Former UN Ambassador Rodney Charles accused the Prime Minister of failing to act. He said his response showed his lack of understanding of global diplomacy. "There is enough information in the public domain, and within the report he received, for any leader worth his salt to act decisively," the former UN ambassador noted. Meanwhile, Opposition MP Fuad Khan also criticised the Prime Minister's response. In a statement, he said either the Minister of Foreign and CARICOM Affairs is ineffectual, holds no sway, moral or otherwise within his ministry or senior public officials are running rampant, managing the ministry, determining policy without referring to the minister. He said T&T's absence from the March 15th OAS meeting and the fact that the Deputy Permanent Secretary can make a decision without consulting the Minister paints a picture of complete and utter chaos at the Ministry of Foreign and CARICOM Affairs.